Robert Hocquard Leicester was born in 1935 in Singapore of Eurasian parents, Phyllis (nÃ©e Hocquard, School teacher) and Norbert Leicester (Lawyer). It was an idyllic life in the tropics. It ended when Japanese forces attacked Singapore in 1942. Three days before the surrender of Singapore, Phyllis took Bob and his younger brother Colin aboard the troopship Devonshire and made it safely to India for the duration of World War II. In India, Phyllis worked in Delhi, while Bob and Colin schooled in Bangalore and later the St. Edwards boarding school in Simla. Distance was not a problem. At that time it was considered normal for two children, one aged 8 and the other 7, to make the three day trip from Bangalore to Delhi unaccompanied by an adult. By 1945 Bob had acquired a step-father and the family group moved to the Seychelles islands for a year, where they lived in an isolated beach hut with no electricity, no meat andâ€¦ no school. Life by a coral lagoon, teeming with edible fish, was paradise for the kids. The real bonus was that Bob’s mother, Phyllis, was an excellent maths teacher, and her home tuition set the foundation for strong academic futures for both Bob and Colin (who later was to become a research economist). After the Seychelles, Bob spent four years as a boarder in the Salesian College, Chertsey, Surrey, UK and then returned to Singapore to complete his secondary schooling at Raffles Institution. When Bob completed his schooling, he had no thought of undertaking a University education and in fact had had no information at all on the matter of choosing a career. In the end he was influenced by his parents admiration of University education and an uncle’s claim that civil engineering was a ‘good thing’. In 1953 Bob enrolled in the University of Western Australia where he obtained a First Class honours degree of Bachelor of Engineering (Civil) in 1957, and a Master of Engineering Science (structural) in 1960. This was followed by three years as a Structural Design Engineer in the Architectural Division of the Public Works Department of WA, and a year as a lecturer in the Department of Civil Engineering of the University of WA. In 1966 Bob travelled to the USA with his wife Allison and month old son Paul to undertake a PhD degree in structural engineering at the University of Illinois, located in Urbana, Illinois. To finance this some funding was obtained from CSIRO, but the majority of it came from US sources; it was the sputnik era, and the US research coffers were overflowing. It was a great time to be in the USA, as it was an era of turmoil arising from the Vietnam war, the civil rights movement and the assassination of President Kennedy. In 1966 Bob returned to Australia via a circuitous route involving visits to a dozen laboratories around the world. On his return he joined the CSIRO Division of Forest Products. He remained with this Division until it was dissolved in 1972. He then joined the Division of Building Research. For about 12 years he was one of the Division’s four Program Leaders, heading the Program on Safety and Risk. This Program included all research within the Division related to structures and fire safety. In time, the Division of Building Research became the Division of Building, Construction and Engineering, then the Division of Manufacturing and Materials Technology (in 2002) then the Division of Materials Science & Engineering, and most recently CSIRO Sustainable Ecosystems. He retired from CSIRO as a Chief Research Scientist in 2001 and returned (to his old office) to take up a position of Honorary Research Fellow with CSIRO and simultaneously a position of Program Manager within the Australian Bushfire Cooperative Research Centre. Most of Bob’s research was as a pioneer in the field of engineered building performance, particularly with respect to the design of building structures. Prior to this research, building design was only by prescriptive methods, based on past experience. The performance intent that was associated with the application of these design methods was unstated and unknown. Typical performance targets for Bob’s research have been the safety and comfort of building occupants, and the safety and functionality of buildings. Design for these types of performance are risk management operations, because there is considerable uncertainty associated with all the parameters involved, such as material properties, loads and human behaviour. Thus performance is always described in probabilistic terms. Bob’s research comprised studies of the performance of buildings when subjected to loads arising from the weight of building contents, winds (including cyclones), building fires and bushfires. Also considered were the impacts of rare events such as may occur due to human error or fabrication error. As part of these studies, research was undertaken to develop theories for mechanisms of structural collapse due to material degradation, fracture, buckling (collapse due to building distortion) and attack by fire. Bob has also developed methods for the assessment of materials for use in engineered performance procedures. The acceptance and application of such methods are important in the international trade of building materials. Towards this end, Bob has served as a technical advisor for several Australian trade missions. Much of the above research was applied directly to timber construction. To do this Bob drafted several Australian and International Standards related to the structural use of timber. He has also assisted in organising many workshops on the use of timber in developing countries in South America, Africa and South-East Asia. Most of these workshops were sponsored by international agencies such as UNIDO, ESCAP and ITTO. Bob’s work related to timber construction was awarded a CSIRO medal in 1998 and the prestigious Marcus Wallenberg Prize in the year 2000. He has accepted about 40 overseas funded invitations to be a keynote speaker at conferences, present lectures and organise workshops. He has published more than 200 papers in journal and conference publications. 2000 Marcus Wallenberg Prize, presented by HM King Carl XVI Gustav, Stockholm, Sweden. This prize is often referred to as the forests and forest industry’s ‘Nobel prize’, valued at 2 million Swedish kroner. 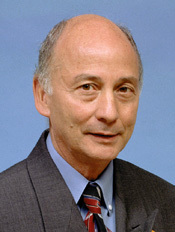 Bob Leicester was the first Australian to win this award. His interests include orienteering, sail boarding, cosmology and music. His favourite place in Australia is the Kimberleys which he first visited 50 years ago during his University student days. Leicester RH, 2009, Personal communication.